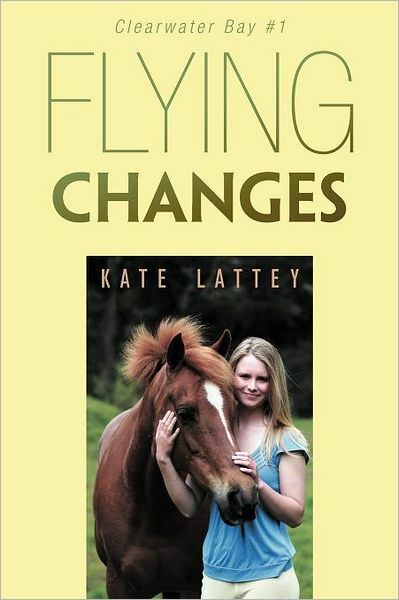 “Flying Changes” is the first in the four-part series of novels set in fictional Clearwater Bay, New Zealand, about Jay Evans and her spirited chestnut pony Finn. When Jay moves from her home in England to live with her estranged father in rural New Zealand, it is only his promise of a pony of her own that convinces her to leave her old life behind and start over in a new country. Change doesn’t come easily at first, and Jay makes as many enemies as she does friends before she finds the perfect pony, who seems destined to make her dreams of show jumping success come true. But she soon discovers that training her own pony is not as easy as she thought it would be, and her dream pony is becoming increasingly unmanageable and difficult to ride. Can Jay pull it together, or has she made the biggest mistake of her life? WHAT INSPIRED YOU TO WRITE PONY BOOKS? I grew up reading every pony book I could get my hands on, and always wanted to write my own. I was inspired while working in the UK and experiencing a different horsy culture. I wondered – what if one of these English girls who keeps their pony on a livery yard moved to New Zealand? How much culture shock would she experience? What would be the pros and cons of moving into a far more DIY environment? I started playing around with ideas, and so “Flying Changes” was born. I wrote it in segments, and the process spanned several years. In the end it was longer (260 pages!) than I had intended, but I couldn’t bear to cut anything out, so that’s how it’s ended up. As the book’s protaganist is a 14 year old girl, the target audience is girls aged 12 – 16 years, but really there is no age limit. CAN I READ IT BEFORE I BUY IT? You can read the first few pages of Chapter One on this site, or “Flying Changes'” page on Amazon.com. HOW CAN I PURCHASE A COPY? I opted to self-publish this book, which means I have paid a company to edit, layout and print the book for me, as well as make it available online through many major retailers. While the outset costs for this were quite high, I’m excited that my book has now gone from being a (large) Word document to being a real novel! 1. You can order a copy directly from me, which can be personally signed on request, by emailing me at NZPonyWriter@gmail.com. 2. “Flying Changes” is also available online on Amazon.com (including as an E-book on Kindle), BarnesandNoble.com, and Fishpond.co.nz amongst others. 3. You can visit one of the following New Zealand retailers who have it in stock – The Children’s Bookshop, Kilbirnie, Wellington; Paper Plus Coastlands, Paraparaumu; Moby Dickens Bookstore, Paraparaumu Beach; Take Note, SH 1, Waikanae; One Black Horse, Settlement Rd, Te Horo. IS FLYING CHANGES AVAILABLE AS AN E-BOOK? Yes, via Amazon.com for Kindle devices, and at BarnesandNoble.com for Nook e-readers. WHO TOOK THE COVER PHOTO? Full credit for that goes to Kelly Wilson and the Showtym crew in Northland, NZ. Thanks to Kelly for the stunning photography, and to Jess and Molly for being such photogenic models. See Kelly’s website at http://www.kellywilson.co.nz and check out Showtym Sport Horses on Facebook. WHEN WILL THE SEQUEL BE PUBLISHED? When I finish writing it! I started work on Clearwater Bay #2 “Against the Clock” as soon as “Flying Changes” went to print, but I then became sidetracked with another story that demanded to be told, so “Against the Clock” was pushed onto the back burner. However I expect to pick it up again in the next few weeks, with the aim to have it available for purchase by Christmas. Writing is a time-consuming process and I am doing it for the love of writing, rather than financial gain. So if you have read it “Flying Changes” and loved it, please – tell your friends! The more copies that sell, the more likely it is that there will be more books. I have heaps of ideas for stories…there is no limit to the number of books I could write about ponies! CAN I ASK YOU QUESTIONS AND POST MY FEEDBACK? Absolutely! I would love to get your feedback, and when you have read the book, it would be great if you could post a review here, and on websites like Amazon.com, to entice other readers! Next Post “CRUISE CONTROL” – coming soon!